Here's a pretty neat phenomenon that was brought to my attention a few years ago, and in looking for some interesting "flower" stories for posts, this came up again. So with permission of the owner, here's a teaser, an "ice flower" or actually more of an ice ribbon. More pictures and explanations of how they form can be found at this link. 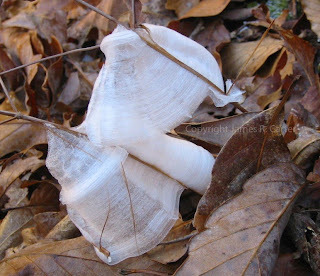 And if you like this, see the "frost flowers" here too.